What’s Your Reason to Call All Season? At All Season Home Improvement Company, we aim for excellence, and take pride in our work. We put our customers first, and make sure that our work is done to their specifications. From varying types of siding to an entirely new, custom-built home, we back our work with a 100 percent workmanship warranty. Contact us today for a free consultation. No matter what you’re looking for in a garage, we can build it. 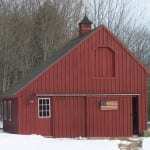 Our portfolio features an extensive array of both attached and detached garages, varying from small, single-car garages to large, multi-car garages – from a modest single story garage to large, two-story barns. 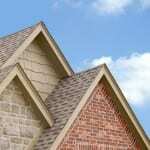 Like all of our services, our roofing is easily customized and adapted to each client’s needs. Our metal roofing is durable and weather-proof, easily lasting twice as long as wood or asphalt roofing, and it comes in a variety of colors to match your home’s color scheme or personality. Asphalt roofing is a less expensive alternative to metal roofing and is easily customized to match your home. All Season Home Improvement will recommend the best asphalt roofing to suit both your home and your budget. Transform your home or business with exterior renovations. 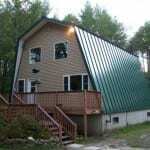 All Season Home Improvement provides endless options of siding and windows. We will work with you to customize the charm and beauty of your existing building. 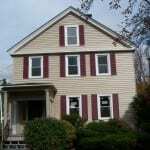 All Season Home Improvement Company can provide both major and minor renovations to your home. Whether you’re looking to remodel your current bathroom, or turn the one you don’t use into an office, we can help you make your home your own. 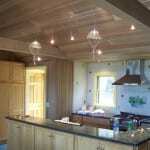 There isn’t a job too large or too small, and we’ll work with you to customize your home in any way you can imagine. Whether you’re after a new entryway for your home, or a nice deck to barbeque on this summer, All Season Home Improvement Company can build you the deck or porch you’ve always wanted. We can also build wheelchair accessible ramps for porches and decks, and, as always, we tailor our work to our customers’ needs. All Season can help you build that extra workroom, bedroom, or bathroom you’ve been looking for. We will work with you to create the perfect, custom addition to your home. And if you’re looking for a place to relax, we offer sun rooms, which can be the perfect place to warm up during a cold Central Maine winter! 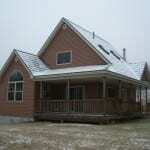 Building since 1991, All Season Home Improvement has a wealth of new construction experience. 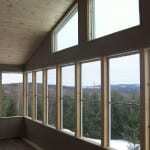 From custom built homes, garages, cottages and barns to new additions, sun-rooms and space expansions. We provide design concepts, estimations and material options to help you make new construction decisions while finalizing projects on time and on budget. For a more extensive look at our work, click to view Our Portfolio.